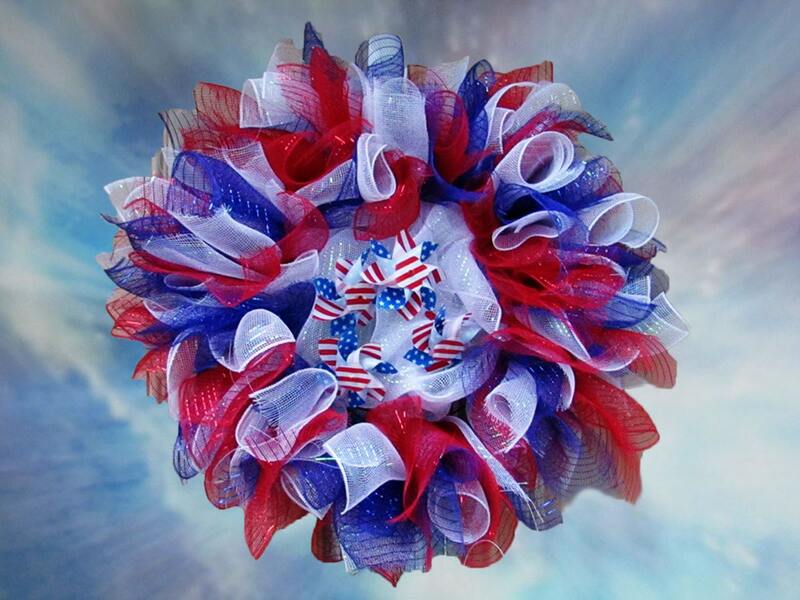 We have created these wreaths in celebration of Independence Day with red, white and blue mesh. Each wreath will also have a bit of added adornment to really make them festive. No single wreath is exactly alike. 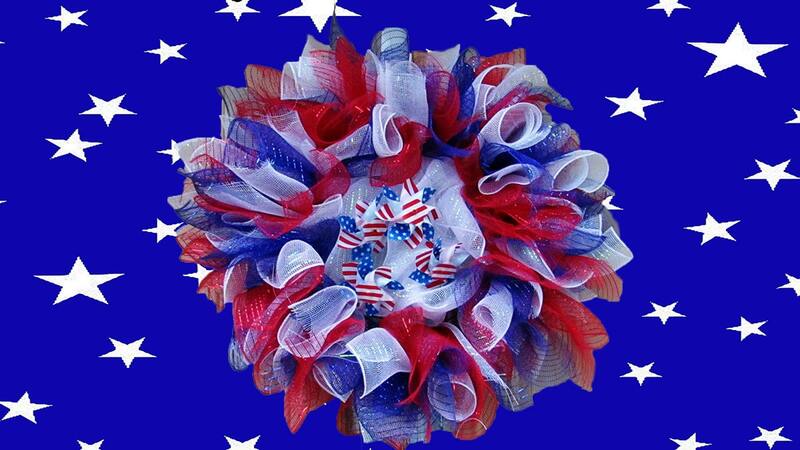 Are you looking for a different type of wreath to decorate your door? 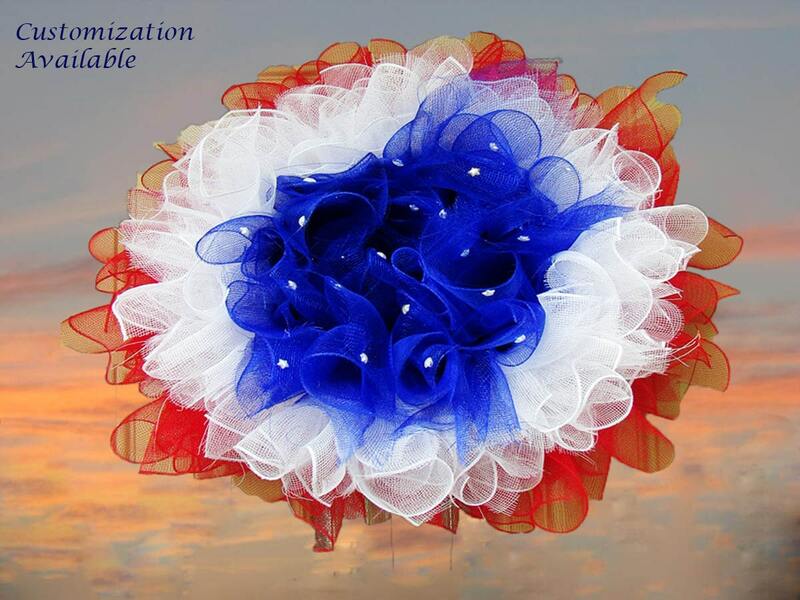 We have a variety of styles, themes and colors available and are pleased to customize something especially for you! 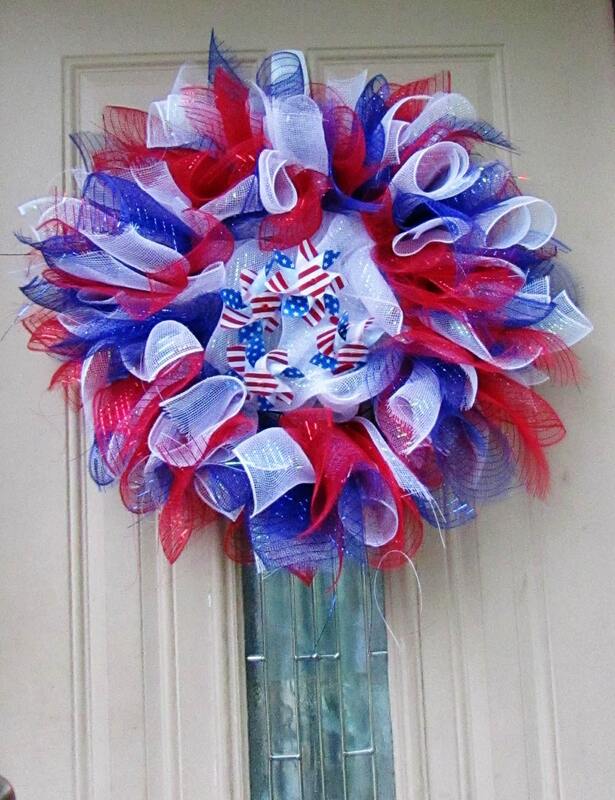 We have also found a way to change this from a hanging wreath to a wreath for your lawn! If you are interested, let us know and we will be happy to include instructions with your purchase. Red White Blue layers with accents in the middle. 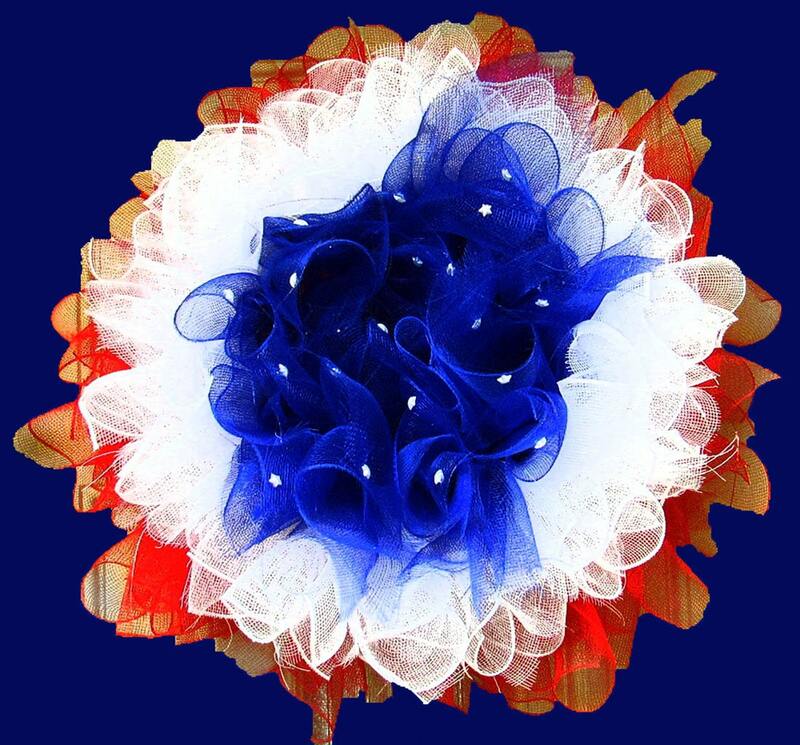 Red White Blue mixed with accents in the middle. Wreath is 14 1/2" before creation and up to 20" measuring across upon completion; averaging 18" d.
Shipping: These handmade wreaths are not heavy but require larger sized boxes which incur a higher shipping rate; we have worked diligently to find the best size box and carrier service to keep the shipping cost competitive and as accurate as possible. We will continue to keep a look out for changes in shipping rates to best serve our clients. *Actual product and or weight may vary.